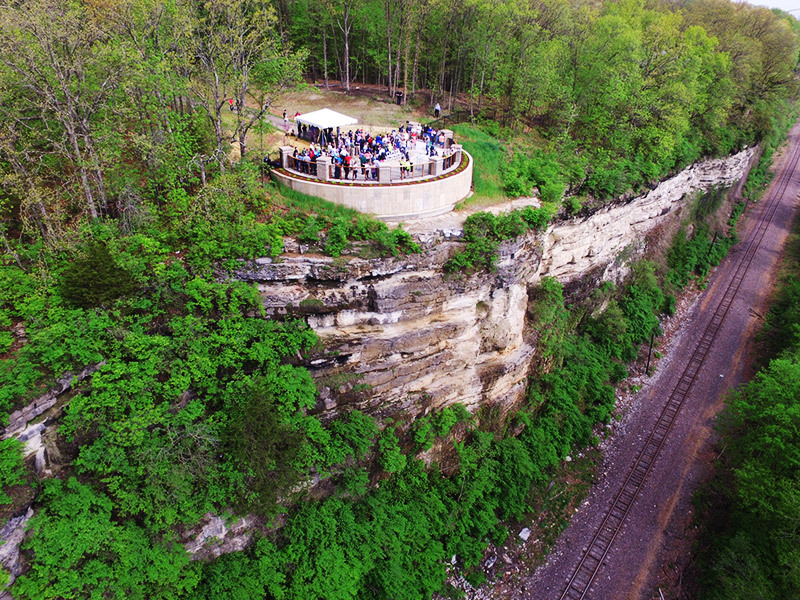 The new extension to the Mississippi Greenway in St. Louis’ Cliff Cave County Park stretches just two miles – but working around an endangered species, steep bluffs, and variable, hard-to-define depths of bedrock covered by trees and vegetation required extensive planning and careful construction. 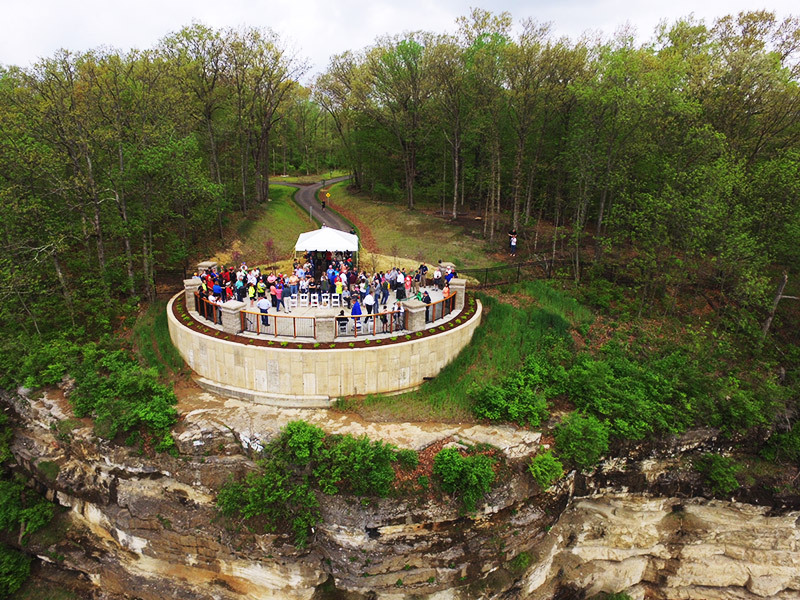 The new pathway required 13 retaining walls for switchbacks along the steep bluff, as well as a 210-foot pedestrian bridge over a busy road and a 70-foot bridge in the woods by the cave. 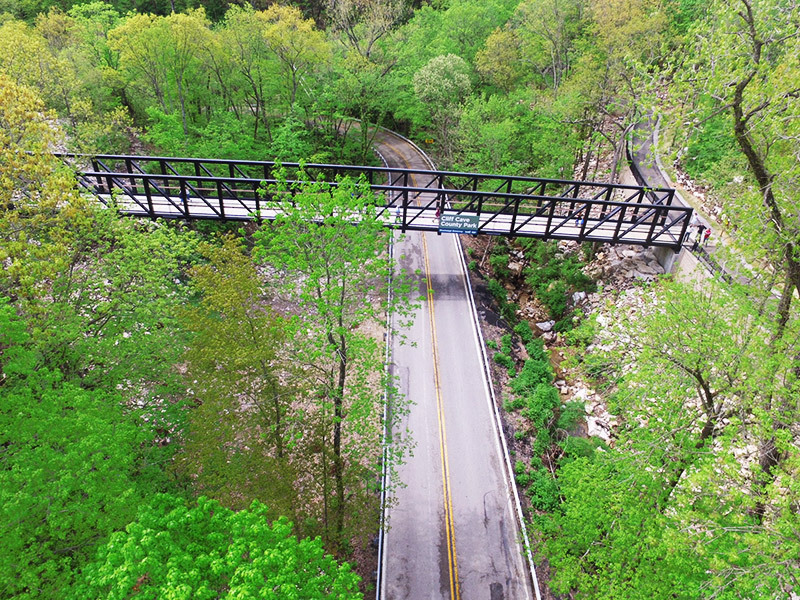 Funded through sales tax dollars and opened this spring, the $5 million expansion project also features a new bike and pedestrian connection for nearby neighborhoods. General Contractor Ideal Landscape Group of St. Louis was awarded the low-bid construction contract in January 2017. They originally planned to start clearing trees right away, since that part of the project needed to finish by March 31. Around April 1, an estimated 10,000 to 14,000 Indiana Bats (an endangered species) end their hibernation in Cliff Cave to roost in the park’s trees through the summer. Unfortunately, due to delays with permitting and other issues, tree clearing couldn’t start until March 1. Despite challenging spring weather, the work still finished by the end of March. 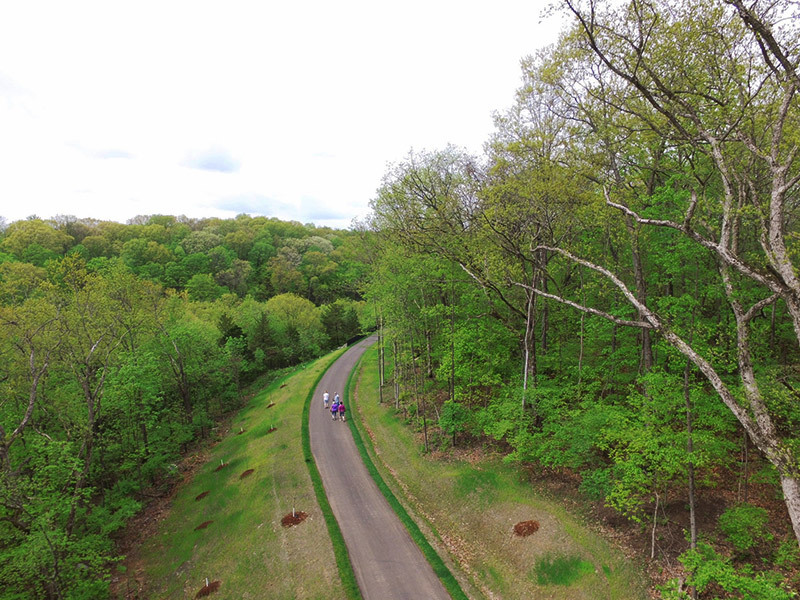 After the tree clearing, Ideal Landscape Group tackled the next challenge of keeping the trail’s grade under five percent. 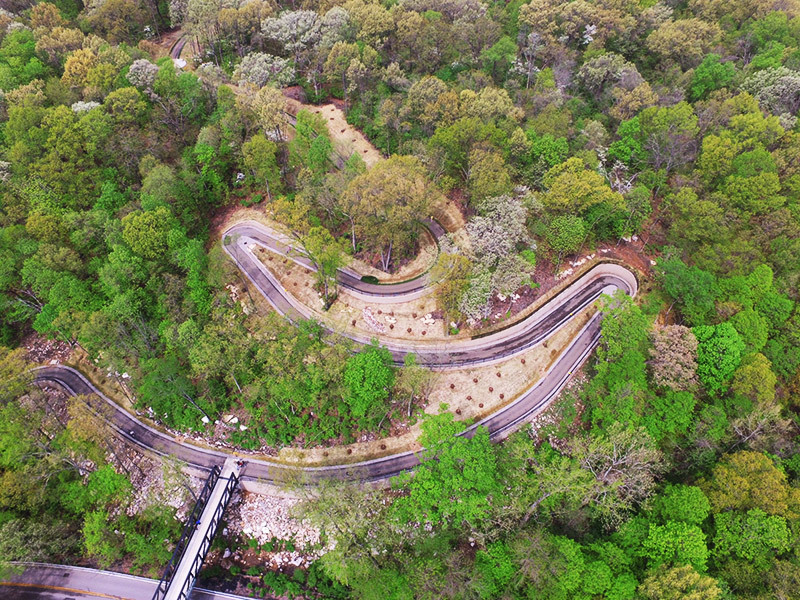 For the portion of the path coming down the bluff, that meant switchbacks with steep retaining walls. Constructing those in karst riddled with sinkholes – in an area that couldn’t be reached by heavy equipment for boring and drilling – required educated guesses. Ultimately Ideal Landscape Group excavated 3,500 cubic yards of hard rock. “There wasn’t enough room to bring a crusher onsite, but they had a spot in the park that we filled in for future development,” Buckel said. Ideal Landscape Group’s subcontractor, Retaining Wall Solutions of St. Louis, constructed more than 4,000 linear feet of walls, with heights ranging from four feet to 18 feet. They used more than 20,000 square feet of modular block retaining walls and 50,000 tons of rock backfill. 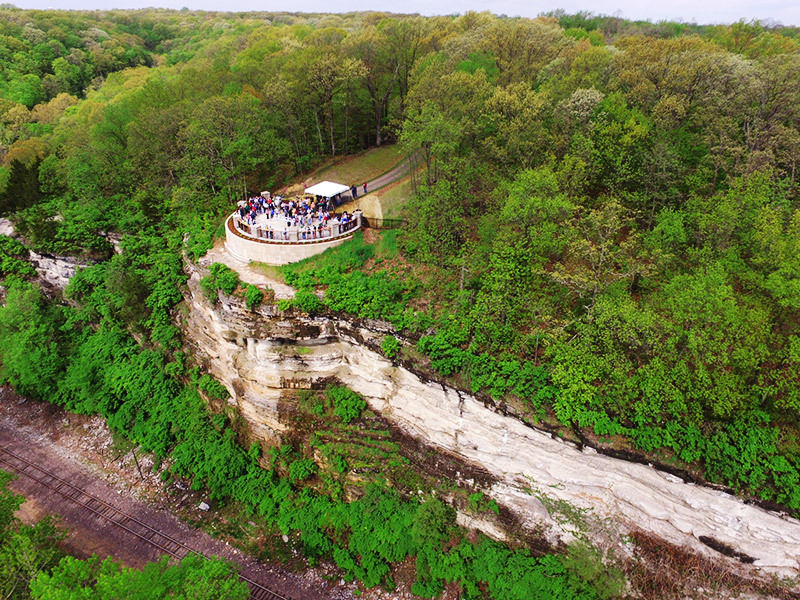 Throughout the project, St. Louis County wanted to keep the park operating as usual. 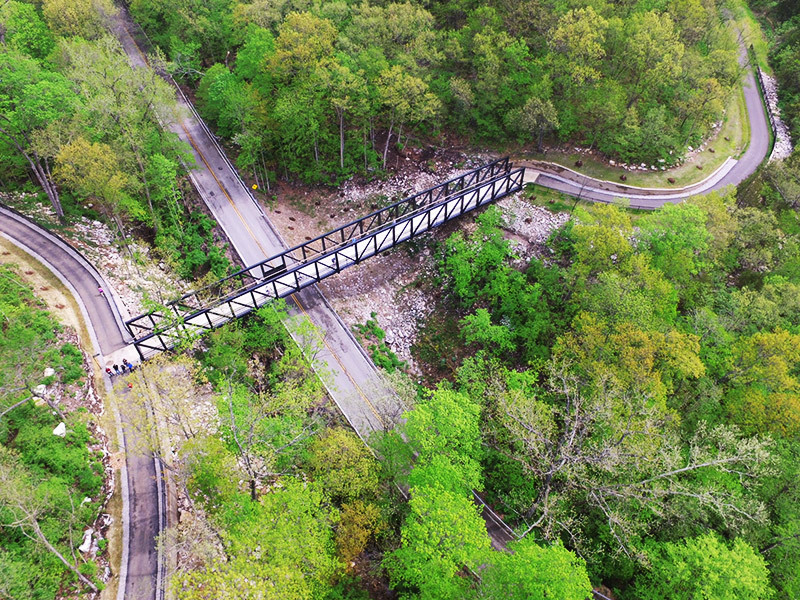 That became trickier during construction of the 210-foot bridge over the park’s main road. The bridge came from Minnesota to St. Louis in four sections, each approximately 52 feet long and 16 feet tall. Ideal Landscape Group rented one of the largest cranes in the area – a 675-ton Link-Belt truck crane – from Sterett Crane & Rigging in St. Louis. 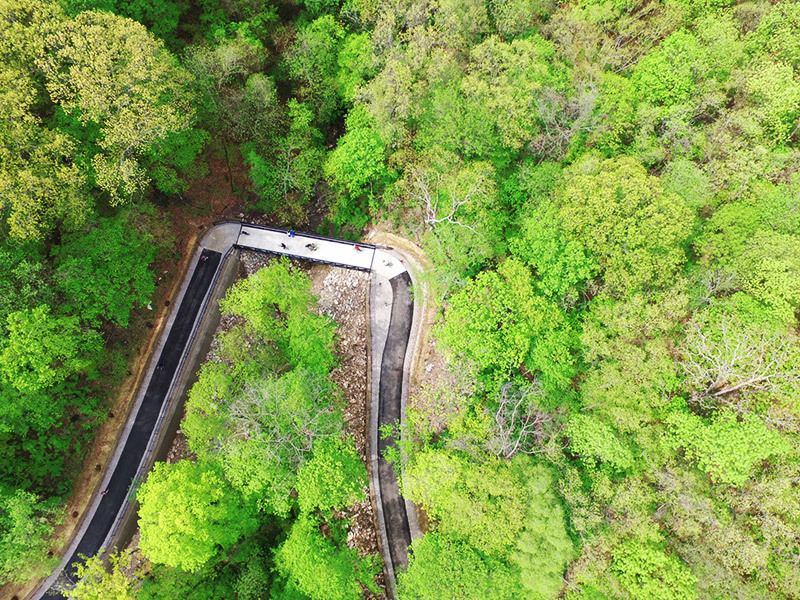 To accommodate the huge crane, crews filled in a ravine with 2,000 tons of crushed stone to make a crane pad. After setting the bridge, they removed all that rock to protect the environment. The road closed for just one week as crews assembled the bridge, then the crane lifted it, swung it perpendicular to the road, and put it in place. “We asked the crane operator to lift it high enough – about 40 feet – so most of the trees wouldn’t be damaged,” Owens said.